How did you spend Christmas Eve? This is sort of hazy for me because when I was a child all we did was go to bed and try to listen for the reindeer on the roof. I never heard them. But when I got a little older my parents, somehow, celebrated Christmas Day on Christmas Eve Day. We were not allowed to go outside and on Christmas Day we went to mass. I think this was because they thought that it would be impossible to get the excited children to church when there were new toys. I can not remember how long they did that subterfuge. We each got perhaps one or two toys and clothing, which I did not consider very valuable. Things were hard in the 1950’s and early 1960’s. My father did not make a lot of money and there were the layoffs and strikes on occasion. On the last visit to her oncologist I think my mother knew the time was short and she told me that each year her mother gave her $100 to buy the children toys. At that time the $100 was worth a lot but that was before the electronics and the feeling that you had to give your children everything that they wanted and then even more. Some of the grandparents and Great Uncle Bill would come for dinner or my father would prepare a dish and take the food to Uncle Bill, this was after my grandmother had died. Bill and his sister, my grandmother, shared a house. We had a good childhood despite not having much money, we were poor but we did not know it. For the past year, or perhaps two, I have been searching for information on my great grandmothers sister, Mary Naughton Downs. I had heard of the name when she was a sponsor for my great uncle Richard Dowd on 23 December 1900. I initially found her in the Baptism records of St. Thomas RC Church, Braddock, PA. I finally found her in Newark NJ in the 1930 census, and with a bit of sleuthing also in the 1920 and 1940 census in the same place. Who would have thought that the name Downs could have been misspelled in so many names. A few months ago I found her in the 1910 census [Dowens] living in East Pittsburgh PA. Mary was widowed at the time and had four children alive with four who had died. I was finally able to find the date of Michaels death. The date of death was 26 March 1898. This was found on a probate record. The will was written and signed on 22 March, 1898. He must have been injured or gravely ill and not expected to survive. I had checked the deaths of Allegheny County and did not find any of his children or Michael listed. I had also called the nearest two Catholic Cemeteries and they did not have anyone of that family listed. I will have to go back and see the original list of Allegheny County death, if one exists. One would think it would but stranger things have happened. Since she is in East Pittsburgh in 1910 and living there, or the nearby community of North Braddock since her arrival in the USA, where in the world is she in the 1900 census? This is still one part of the mystery to go. WHO WILL READ THE RECORDS??? I went to the DMV to get my picture taken for my drivers license renewal. I had to answer about ten computerized questions before they would take my picture. Just sort of generic about organ donation and changing your political party. I asked the woman if a lot of people had trouble with renewals, I was thinking that if you had never used a computer it might be difficult. She answered that the elderly have trouble with answering the questions with the key pad and a lot of teenagers could not write their names. WHAT, she said that when they get there a signature is required for your drivers license and a lot of them do not know how to write their names. Can we print it, NO a signature is required. Then the next is can my mom sign for me? NO, just do your best. The woman also said she doubted that they can read the written word at all. This is one of the saddest things I have heard in a while. I knew that cursive was being eliminated in the schools but it astonished me that they were never taught to write their own names. Something is missing in the Education Department in the USA. Which brings me back to Genealogy, or any type of off line research. As we all know there are millions of records that have not been transcribed. Does this mean that in fifty years or so they will be obsolete? It is even worse when you think someone would want to read the documents written in the old penmanship styles. I have to start on a research plan to find the parents of Michael Coleman and the connection to the parents of Mary Ann Saylor Coleman. My first step will be to find every Coleman and Saylor in the census in Pennsylvania 1790, 1800, 1820, 1830, 1840 and 1850. Then I will narrow them down to Eastern and Central Pennsylvania. Michael Coleman was born circa 1809 and Mary Saylor in 1814. According to the Civil War deposition of Michaels oldest son (William Thomas), the parents were born 1780-1847 for his father and his mother 1789-1831. His dad would have been 67 at the time of his death and his mother 42 at the time of her death. So I need to peruse the census looking for a couple with the difference in age of about 10 years. I looked through all the Coleman names in the Huntingdon County area and found nothing. In a flash of inspiration and now I wonder what I was thinking? He was probably living with a daughter and since I have no idea about any names of Michael Coleman siblings I am back where I started. I guess it was fantasy thinking on my part. I have to come up with a new plan of action. Summer is almost gone and I did not get a lot done. My time was spent selling my daughters house, packing, moving and helping her find another house. I have been lax on doing much research, except for what is on line. I have been hoping for more records for Allegheny County PA but not much has been posted. I have a couple who were sponsors for my great grandparents, Patrick O'Rourke and Ellen Mortel O'Rourke. For a few of their children the sponsors were James and Bridget O'Rourke. It has been my theory that this was Patrick's brother and his wife. Some where in my dads notes was an indication that Patrick had a brother Jim. What I did find was three deaths for the parents of James and Bridget O'Rourke. The first death was on 28 June 1886, Patrick O'Rourke age 7 years; cause of death, Scarlet Fever. The second death was on 24 July 1886, James O'Rourke age 5 years and 3 months, cause of death, Scarlet Fever. The third death was on 3 August 1886, Anna O'Rourke age 1 year and 11 months, cause of death consumption of bowels. Bridget and James lost three children the summer of 1886, I can not image the sadness that this couple felt. The death certificate gave and address and ward number for the city of Pittsburgh. I have deducted or guessed that the church they would have attended would have been St. Agnes, which was a Irish Catholic Church close to their home. When the Archives of the Diocese of Pittsburgh reopens to search for their Baptism and deaths will be on my agenda. The dates when their children were born would coincide with the same years of my great grandparents would have been starting their family too. I am really excited. This week is the second GRIP being held in Pittsburgh. I attended last year and had a great time and learned a lot. This year I will be taking Advanced Land Research and it is being taught by Pamela Boyer Sayre and her husband Richard G. Sayre. I love maps but I am having difficult trying to pin point the location on maps. I hope to be an advanced map user by the time I am finished. I cleaned up my computer (of useless trivia and files, did a virus and malware scan) and am ready to go. Tomorrow will be the registration and we will get our special stuff. The venue is at LAROCHE COLLEGE located in the North Hills of Allegheny County, it is just north of the city of Pittsburgh. It is a small college and beautiful campus. Staying at the college was an option but I will be staying at home and commuting. Will update as I go this week. My grandfather, leaning on the train with his shirt undone. My most enduring mystery is who are Michael A/H Coleman’s parents? Michael is my husbands second great grandparent. In the deposition of the Civil War Pension for his son William Thomas Coleman, it states that Michael was born 23 December 1809 and his wife Mary Ann Saylor was born 21June 1814. Both were born in central Pennsylvania, Mary Ann in Huntingdon County and Michael possibly in Huntingdon County or perhaps near by Bedford County. The deposition goes on to state the dates of birth and death for “mother” are 1789 – 1831. The dates for “father” are 1780-1847. Mother would have been 42 at the time of her death and Father was 67 and both died before the important 1850 census. I do not know the names or numbers of any siblings of Michael A/H, nor have I found any online trees of anyone that have included “mother and father.” There are descendants of Michael and Mary Ann but none have found the parents information. Source Citation: 1820 U S Census; Census Place: Spring, Centre, Pennsylvania; Page: 264; NARA Roll: M33_98; Image: 279. Map is from Google Maps. Spring Township is just a few miles north of the area that is mentioned in The Deposition. In the 1830 census I find a Thomas Coleman living in Warriors Mark, Huntingdon County. The nine year difference in age between father and mother would be apparent in this census. Michael would have been 21 at the time. Source Citation: 1830 US Census; Census Place: Warriors Mark, Huntingdon, Pennsylvania; Page: 50; NARA Series: M19; Roll Number: 166; Family History Film: 0020640. Google Maps. Warriors Mark Township, Huntingdon County PA.
JOHN DOUD AND CATHERINE FITZMORRIS. I had lost the link for the Glinsk Parish, County Galway Baptisms but I found it in one of my ambiguous files. I have moved it to Evernote and there it shall remain. I went back to review the Baptism information to find the names of the sponsors of the Dowd sibling, Thomas (1859) (my ggf), James (1862), Maria (1864) , Catherine (1868), and Norah (1870). The interesting thing was for Catherine and Norah Doud there was a place residence listed as Camderry, Galway, Ireland. I “Googled” the town and it is a very small place near the border of County Roscommon. A check of the 1901 census for Camderry and I found a John Doud, age 68 and his wife Catherine (Fitzmorris ??? ), age 60 with a daughter Anne who is 15 years of age. I have a suspicion that these are my great great grandparents. My great grandfather was the first born after the marriage in 1858, and he emigrated in 1880. Now there are a lot of other siblings out there of which I have no idea of their names. The older siblings probably never met the older ones. Catherine would have been 18 at the age of marriage and 45 when Anne was born. Every discovery brings about more questions. I have not posted more about my father because, frankly, I did not know where to go with this topic. There are just some things I really do not know. I mentioned that in 1938 my grandmothers second husband had died and my father quit high school in his Junior year to help support the family. My father was born in 1918 and he would have been twenty at the time. WHY, my grandmother held him back for two years so he and his brother Richard could start together. What was she thinking? Was it easier for her to keep them together, did she have trouble with her parents who would have been her main support? I think this will remain a mystery. At some point in time he met my mother. She was five years younger than him and initially he though she was too young and just a “kid” His buddy Bill, was dating Mary. Mary and my mom were best friends and classmates who graduated from Duquesne City High School in 1940, she was seventeen at the time. What I can surmise is that they met a second time and were bridesmaid and best man at Mary and Bills wedding. They started dating again after that. Funny, I had never asked for the who, what, where, when and how about this. 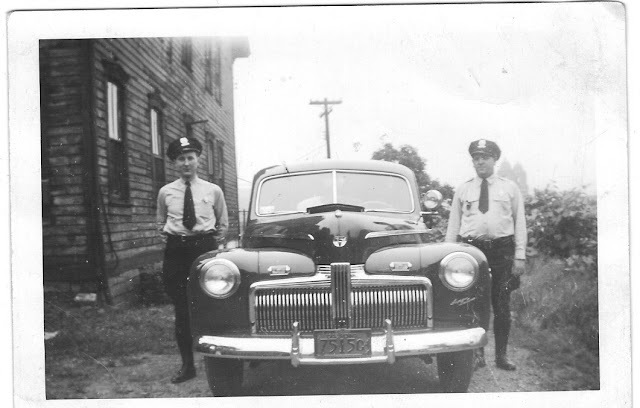 December 7, 1941 was a warm and sunny day and Thomas was outside washing his car, when over the radio came an announcement stating that the Japanese had bombed Pearl Harbor. He said at the time he knew right then and there that we would be going to war. Tom was working as a machinist for the railroad and I can only surmise that his job perhaps had given him a type of deferment. On 3 May 1943 he was drafted and shipped out to the south of the USA. They were short of equipment and once it was mentioned that the men were learning how to shoot with broomsticks instead of rifles. It sounds like the USA was ill prepared for this war. After the New Year he received his orders and called my mother and they were married 4 February 1944 and spent five days together before he had to leave. Some of his relative were angry that he married, he was the sole support of his mother. The allotment he received was divided between his mother and his wife. But, he said he wanted to get married. 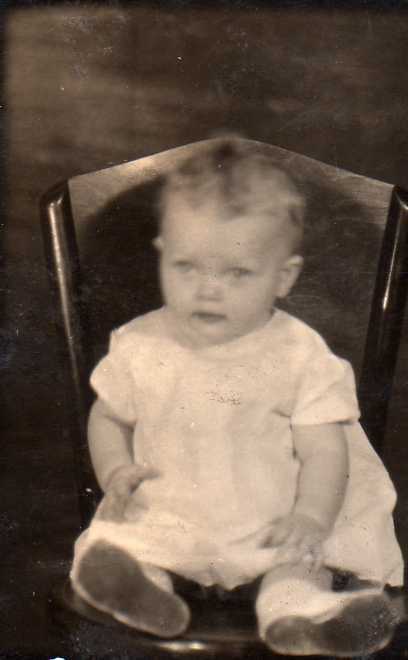 My dad, Thomas Dowd, was born in July 1918. He was the first child of Thomas Dowd and Gertrude O’Rourke. My grandfather was a railroad engineer and my grandmother was a housekeeper, as 99% of the women of that time. In 1920 another child, Richard Regis, was born. My grandmother said that her husband drank too much alcohol and she had to meet him at the gate to get his paycheck or he would have spent the money at one of the local bars. Finances were very tight for the new family. Tragedy struck one day in October, my grandmother had reported, my grandfather was intoxicated and fell down a flight of steps and then went to bed. He was dead by the next morning, October 16 1921. The death certificate listed a cerebral hemorrhage as the cause of death. I think my dad always was angry about his father. He said he spent his life living first with his O’Rourke grandparents and then with a step family after Gertrude remarried in 1928. Thomas talked about the poverty and everyone had to survive on their own because there was no assistance for widows. She worked to bring in money as a winder at Westinghouse Electric in East Pittsburgh PA, and her parents took care of the children. One of his activities was to pick up the coal that had fallen from the freight trains that rolled by across the street from his grandparents home. I suppose every bit of coal that he and his brother gleaned helped the family. He spoke of eating soupy potatoes and how he hated apple butter because it was all they had to put on their bread. His grandfather, Patrick O’Rourke, worked as a street sweeper for the Borough, he had lost his job in the Homestead Steel Mill after the HOMESTEAD STRIKE in about 1892. From what everyone said at the time the men who struck were blackballed from working in any steel mill again. In 1928 Gertrude married again, it was the only option at the time and a lot of women married to have someone to support them and the new wife would take care of the children from any previous marriage. My dad hated the situation, he and his step father never got along. Thomas felt he was too strict and treated the step children different because HE was supporting them. Her second husband, Peter Paul Graham died in 1938. After that my dad had to drop out of high school in the 11th grade to support the family. I think he always regretted that he never had the opportunity to graduated from High School, he told me that he had wanted to be a surgeon. In 1938 jobs were hard to come by because of the depression but he found a job at the Union Railroad with help from some friend of the family. Initially the company did not want to hire him because of the legacy passed on from his father (I think he might have had a slight mishap with a train.) A woman spoke up for him and said “You are hiring the son, not his father.” He got the job and continued to work there for forty two years. This is getting to be a long post, I will have to divide the tale into sections and continue it in installments. Thankfully, the tasks associated with selling our daughters house, packing and moving, are now over and done. This will leave me with things I want to do related to Genealogy. In an idea from A PATIENT GENEALOGIST Devon Lee suggests using EVERNOTE to save your genealogy related emails. This struck me as a great, better than great idea. I have a lot of emails stuck in my inbox and did not know what to do with them. I love Evernote, I use it only for Genealogy to write my thoughts as a research tool and also to store clickable links from web sites, posts from my blog and notes from Sacramental Records that I have found. I started with Evernote before I got my copy of MS Office 2010 and One Note is also an option but I am too lazy to move everything at this time. One Note also appears to be a good option for note keeping. My favorite part is that is “portable” I can check facts and my note when I am not at home. So, with that lead up I will be copying and pasting emails this summer. I want to go to HUNTINGDON COUNTY HISTORICAL SOCIETY, and BEDFORD COUNTY HISTORICAL SOCIETY to search for my husbands ancestors of the Coleman and Saylor families. I need to get into the Courthouse records. I also need to find more about a unknown Sperl person whose marriage record I found at the Archives. Writing with regularity in my blog is now high on my agenda, since it was virtually neglected since the winter time. I have now set these goals in writing for the world to see and I suppose I will have to act upon them, it gives me a good push to get going. Michael J O’Rourke, my dads cousin on his mother (Gertrude O’Rourke) side, killed in WWII. Richard B Dowd, my dads cousin on his father (Thomas Dowd) side, killed in WWII. Owen Mulroy, my dads uncle, killed in WWI. Darius Anthony, my husbands 2x great grandfather, killed in Danville, Virginia, Civil War. Or somewhat I suppose. The past few months have been filled with doing repairs, updates, painting and packing. Nothing related to Genealogy or research. The daughter has been moved and everything related to her house in upstate PA is finished. The move is done and everything is in a storage unit. All that is left is to move into her purchased house and move the stuff out of storage. I guess we will repair, and paint at the new place but it involves a ten minute ride as opposed to a five hour ride. I need to get back to my research and work of the family tree. What I would like to find on my side are records on Ireland and Germany. This is proving to be difficult because of the lack of records. On my husbands family I am now going to be searching records from the Colonial, Revolutionary War and Civil War era. I am happy that Pennsylvania was part of the original thirteen colonies and hopefully find some answers. This will involve research trips to a few Historical Societies and Courthouses. I will have to make a list and see where this will take me. While looking at copies I had in my possession I was reviewing the delayed birth certificate of my Uncle William and grandmother Gertrude O’Rourke. They are the only of the siblings that I knew. The answer was sort of sitting there all the time. At the time of my Uncle Bills birth, 6 May 1888 he was the tenth child born of Patrick O’Rourke and Ellen Mortel. 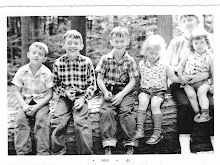 The older children I knew about were Anne, Dennis, James, Mary and Thomas. Who were the other three? This means that Denis was alive as of 1888 and he would have been thirteen at the time. By the time my grandmother was born there were six children living and three had died. Can I assume Dennis was one of them? There was another sister born 18 May 1890 who was also recorded in the Baptisms of St. Thomas RC Church, Braddock PA. In my grandmothers birth/Baptism record her name is recorded as Bridget Gertrude. In 1888 there were a total of ten children, including William but not including my grandmother and her sister born in 1890. I can account for Dennis but who are the other two? Who are the missing children, it seems there are some unaccounted for and I do not even know the correct number. So, when did he die? My theory was and still is that he died in August of 1891 because that was when Patrick bought the plots in Braddock Catholic Cemetery. A person, especially a poor one, would not buy a cemetery plot if he did not need one. The funeral records from the churches foundation up until 1945 do not exist for St. Thomas, and the cemetery records for the same period are non existent also. I need to recheck the cemetery to see if they have a list of who is buried in the plot. After two weeks, and months before, of hard and intense work we had the house in tip top shape and listed. The house looks great and after five day we got a good offer. There is still a house inspection due and the closing is set for the end of May, I hope all goes well. The cats are still growling and hissing at times, but no blood has been drawn. No fighting no biting and that is good. We now have to start to pack and get ready for the move. It makes me wonder how in the world our ancestors, a lot who seem to move all the time, did this with regularity. I theorize they had much less stuff and it was a lot easier, plus a lot of them rented so they did not worry about selling a house and buying a new one. Did they have realtors 100 years ago and how did one go about buying and selling a house at that time. Where did they advertise? I think I shall research this question and see what I can find. Here’s hoping all goes smoothly. 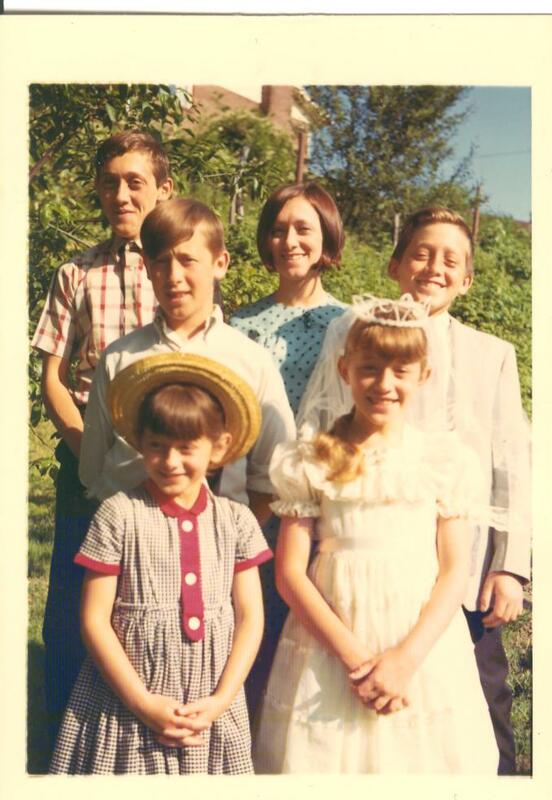 I looked for an Easter Picture but my sisters Communion was the only one I could find with us together for a religious picture. This picture must have been taken in May or June circa 1965. I have not been posting lately since our daughter starts her new job tomorrow and we are getting her house ready for sale. We have been painting, doing yard work and packing. I have not posted for a bit but we have all been very busy. My daughter has applied for an accepted a job in Western Pennsylvania. We all have been busy trying to coordinate this move and my research is on the back burner for now. I am glad she will be moving home from the Wilds of Pennsylvania, I think we will be very busy for the spring and into summer with the relocation. I really have not been posting much in the past few weeks. I will get back to it when this move is finished. Family Portrait, I just wonder who took the picture. DO YOU WANT MY MOTHERS BIBLE? YES There is not too much there just a little writing. Which did not prove to be a gold mine, but I found the witness at their wedding, the dates and locations of their childrens weddings, and the dates and places of the grandchildren Baptisms and Communions. I was just wondering about how the old Bibles and records got “lost” People do not think it was important and what information could possibly be in there. The information from the funeral home had the sympathy cards, Mass cards and a list of everyone who had attended the viewing. Now I know a lot of relatives who were alive at the time of his parents death. This was my first pass through and now I have things to add in my files. I am glad he asked. I found this link on the Pennsylvania Genealogy Facebook Page this morning. It appears to deal mainly with Catholic religious sisters in Western Pennsylvania. I have to read it yet, but seems to have a lot of information. LINK---- SISTERS IN HEALTHCARE. 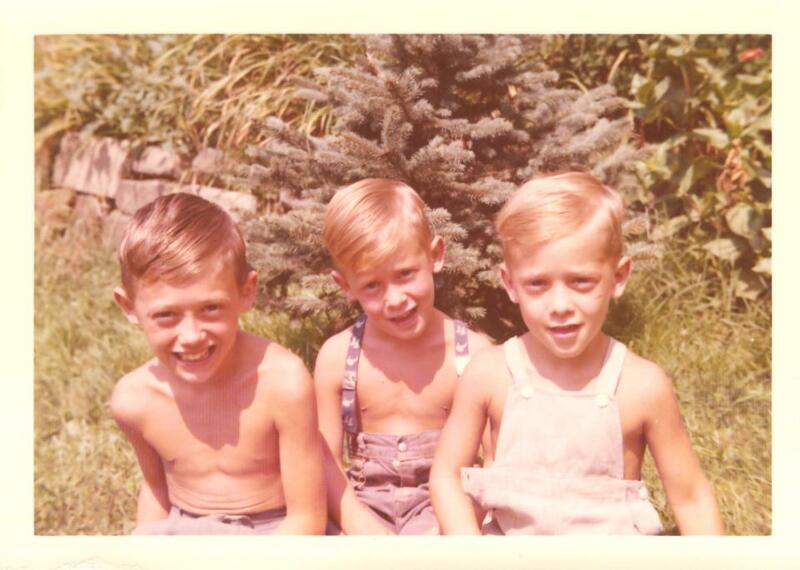 The Dowd Boys, circa 1952. Today was my day for my volunteer researching at the Church Archives. My friend and I were both going to register for a class. She wanted the class Determining Kinship Reliably with Thomas Jones and I wanted Advanced Land Record with Rick Sayre. At high noon sharp we ready with our registration page in place. According to the clock on our computers it was 12:00 we started clicking. She got in and in a few seconds submitted her choice and to her dismay it was closed at 12:04. ??????? How did that happen? She opted for the waiting list. I could not get connected by hitting register and I tried another computer that we had the home page up as a back up. With a few click of my mouse I was ready to go and got in the class by 12:06. Was the problem with too many people trying to register or was the computer too slow? It really was sort of frustrating for her to get in by 12:04 and be too late. I was happy I got my choice. I can only imagine the trauma if you had to submit your credit card information with the registration. I am glad we can pay by check within 30 days. John C. Sperl on the right. He was an Allegheny County Sheriff and Millvale Police Officer. Today would have been my parents seventieth Wedding Anniversary. My father was five years older than my mother. His friend Bill was dating my mothers best friend Mary. Her friend Mary is still living, so no last names will be given. Mary and my mother were class mates at Duquesne City High School in Duquesne PA and graduated in 1940. Duquesne PA was a booming town with people of many ethnicities, mostly from Eastern Europe. They work in the steel mills that were along the Monongahela River. With the collapse of the Steel industry in the early 1980, those jobs were all lost and eventually the mills were torn down and the city become an economically depressed area. When they first met my father thought she was too young for him. Then they met again a few years later when they were both attendants at Mary and Bills wedding. I suppose he thought she had matured by then. They dated for a bit and in December 1942 he knew he would be going to war. He was in the US Army assigned at Seymour Johnson Field in Goldsboro, North Carolina. My father said that they were so short of equipment and that they initially used broom sticks because they had no guns. When Tom got his orders to ship out to Europe he called her and said if she wanted to get married to catch the train and come down. They were married at Seymour Johnson Field and spent the week together in North Carolina and then he left for Europe. With the uncertainty of war I can only imagine how they felt and the knowledge that they may never see each other again. Gerda make the long trip home by train; she wrote every day and sometimes did not hear from him for stretches at a time. My dad told the tale that he was stationed in England initially and he did not want to get killed in Europe. So what he did was go to the library and started to study the books for air plane mechanics and repair. Tom stated that he did not go into town like a lot of his buddies, but studied in his spare time. He took and passed the test and spent the rest of his time repairing airplanes in England and “kept his nose clean.” It was a depressing job because they all knew that each mission was a hazard and chances were not very well that would come back. From what he said and what I heard there was a twenty five percent chance that the bombers would be shot down. Twenty Five missions was the goal and you would be out of the rotation, but it was next to impossible to obtain. After wars end he returned to the States and Tom and Gerda set up housekeeping and he returned to his job working on the Union Railroad. Tom and Gerda raise six children,the years passed and soon they were all off on their own. Five of us lived locally and one brother moved to Virginia to take an engineering job. In 1991 or so mother started to have pain in the area of her gall bladder. After testing it was found that she had cancer of her bile ducts, which is extremely rare and inoperable. At the time she was given about six months to live. She lived four years and her quality of life was good, but included multiple bile ducts stents to keep the bile flowing. On April 26 1995 she passed away,surrounded by her husband of fifty one years and all of her children. This picture was one of the last that was taken. We still miss you both. Read about this Historical Society located in Westmoreland County, Greensburg, PA. These are records from the Harold Zinn Lutheran Church plus various genealogy of German Families in the area. After my addendum to yesterdays post (in red) I decided to do a search and see what I could find. The first is a digital collection from the University of Pittsburgh, entitled SMOKE CONTROL LANTERN SLIDE COLLECTION A few lines under the picture is a link that allows you to View Slides. As you go to the collection, click on the individual photo and there will be a link entitled DESCRIPTION. This will tell you about the photos. The collection shows pictures from 1930 to 1940; you can see a diminished sun in some of the pictures that were taken during the day. I have been using the new mapping website I had posted about earlier this week. This was made in conjunction with the University of Pittsburgh. I am thankful I have found this website. I think this will help in finding families and be useful to see what is near to where they lived. For me I have been searching for the ethnic churches and perhaps you can find where they may have attended. It has a small learning curve, but I think I am beginning to get the hang of it. The site starts you out in 1890. There have taken the known maps of Pittsburgh from 1835, 1855, 1882, 1890, 1903-07, 1910, 1923, a black and white map for 1939--but it is difficult to visualize it and a Google Earth type map for 2012. I do not know if Google maps was what they used, but that is what it reminds me of. It has a space at the top right where you can put in an address (your ancestor for instance) and then click on the various years to see how things have changed. On the top left is a vertical bar that you can use to enlarge the picture or make it smaller and then it will show more of the community. In the bottom right is a small box that will bring up a snapshot and it has a rectangle box that you can more about and it will follow it on the large map. They maps are overlaid and you can click through the years, on some of them they will have a shadow from the previous map so you can follow what was there previously. After posting the picture of Pittsburgh 1939 I thought that my initial impression of the poor quality of the photographs may be incorrect. I had to consider the time period, it was before pollution controls. Although I have never seen the city full of pollution I have seen pictures of it. My mother said that the city was so dark with the smog and the grime that the street lights would come on during the day. With that thought I am thinking that perhaps this was taken and it was the best that could be. I will search for images of Pittsburgh before pollution controls. I just heard about on the news on KDKA. I haven't explored it yet but the gist of it is to show you what was there and what is now. So, what am I thinking now? This side of my family has me puzzled and there is no one left to question. When they were alive there were no questions. The scant information I have about them is they were from County Limerick, Ireland. This has yet to be proven and believe me I have searched. I found this in Obits and birth and death certificates. I was perusing the death certificates today and was rather surprised about the length of some of them. I would have gotten tired reading before I came to the end of some of them. Actually, I think I will write my own Obit with a note that is the one to be published. Not to long ago I came upon an article (not cited and now I can not find it) that most of the O'Rourke lines were from County Leitrim, it is near but not adjacent to County Limerick. Where to go for information now? Last evening I started my search (now bookmarked and saved, I eventually learn) Why would the ancestors say Limerick on their records. Were they born and and grew up in Leitrim and then moved to Limerick? I have to form a plan and write a research report on this new thought about the O'Rourke information. It is easier to be organized if you start it at the beginning, which I did not do of course. When I started a few years ago I was collecting and downloading but did not really know what sort of organization I needed. I also did not know what documents would prove to be important. I do have a back up system but that needs to be organized too. I would like to do away with paper but I am reluctant to let it go. Mainly I worry that no matter how many backups I have, in various places like Dropbox, Evernote and Google Docs, I fear that they can, somehow, disappear in to the electronic void. I have to work on that and devise a system that works best for me. I have read many articles by various authors on how to and I think I will take a bit of each and devise my plan. But the problem is which will work best, I guess it is just trial and error. I have started culling my bookmarks, some of them are dead and some of them I can easily find with a search. The small and unique ones and those hard to find will make their way into a folder that I can find with ease. This sounds easier that it will prove to be. I will allot some time every day to get started on these projects. I am glad the Holidays are over. I spent two weeks being sick with a cold and bronchitis, but thanks to Zithromax I am feeling 99% better. I just did not have the energy to do a post. Find the parents of my husbands 2x great grandfather, Michael A/H Coleman. This involves a trip back to Huntingdon County Historical Society and Courthouse. This has become an obsession for me. I found a candidate for his father in the 1820 census. The ages of Michael and parents fit into the information about ages in their eldest sons Civil War deposition. I am 99% sure I have found the parents of Michael's wife, Mary Ann Saylor. I just need to find the link. A member of the DAR had submitted information about this family back in 1921. The only problem is her name was listed as Mary Jane rather than Mary Ann and her husband was listed as Henry instead of Michael. The birthdays were exactly the same. I have a suspicion that the information was from a Family Bible and that resources is long since gone. I have to look for more information from Germany and Ireland. Since my ancestors came to this county more recently I need to go back to Europe. I would also like to find what my great grandfather, Thomas Dowd was doing between 1880, when he immigrated and 1889 when he married my great grandmother, Bridget Naughton. Clean up and provide citation from when I first started my quest in 2006. There are several hundred people so perhaps my next year I can have this finished. I will start with the immediate and then go on to the collateral lines. Edit, delete or file many of the Bookmarks I have relating to Genealogy. Some of them are so old they are "dead." This may take a bit of time. I think this is enough to start with for one year. I can add or edit any of my goals.